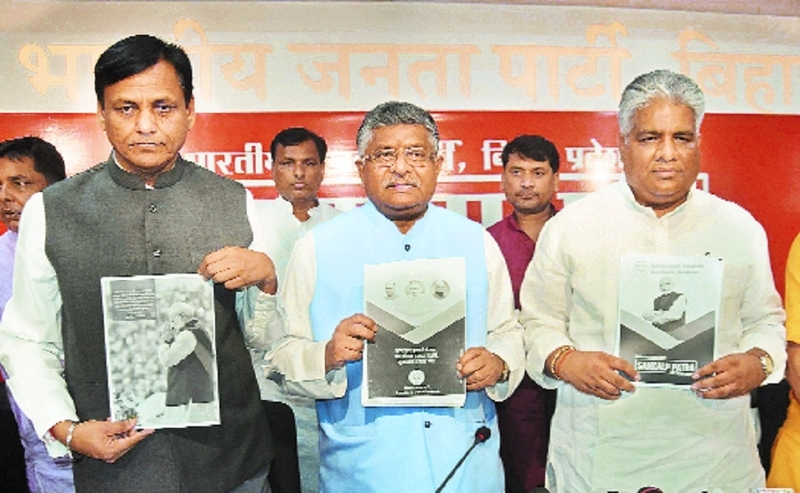 UNION Minister Ravi Shankar Prasad on Tuesday said Congress President Rahul Gandhi does not have the “moral right” to challenge Prime Minister Narendra Modi to a debate on corruption as he is himself facing a corruption case and is on bail. “You dont have the moral right and conduct to talk on the honesty and integrity of Narendra Modi. Our government has worked honestly in the past five years,” Prasad said, and referred to the seizure of crores of rupees during Income Tax raids on a close aide of Madhya Pradesh Chief Minister Kamal Nath. In a tweet on Tuesday, Gandhi dared Modi to a debate with him on corruption. Dear Prime Minister, Scared of debating me on corruption? I can make it easier for you. Lets go open book, so you can prepare: 1. RAFALE+Anil Ambani 2. Nirav Modi 3. Amit Shah+Demonetisation, Gandhi tweeted.